Calvin Cheng, Co-founder and CEO of ABCC is a media and technology entrepreneur. 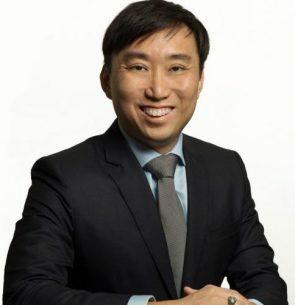 He has founded and sold several media and technology companies in South East Asia, and is currently chairman of China-based and ASX-listed Retech Technology, which he led to IPO. He is also General Partner of a film fund with China’s Bona Film Group and Hollywood’s Creative Artiste Agency. He was an appointed member of Singapore’s Parliament and is a Young Global Leader of the World Economic Forum. ABCC was founded by a group of industry veterans with a broad range of experience and track record at some of the most successful internet, financial services and management consulting firms. The technology team members had been core members at some of the world’s most successful technology and financial services companies. The platform (www.abcc.com) went live in April 2018, issued ABCC Token (AT) on July 9 and launched its Trade-to-Mine mechanism. As a key component of its digital asset ecosystem, AT plays a critical role in building consensus and creating and sharing value in the community. With the help of AT, ABCC will integrate different stakeholders into one tightly integrated community. Within just ten weeks of operation, it had ranked the 8th largest exchange by overall volume in the world, and 1st in ether trades.